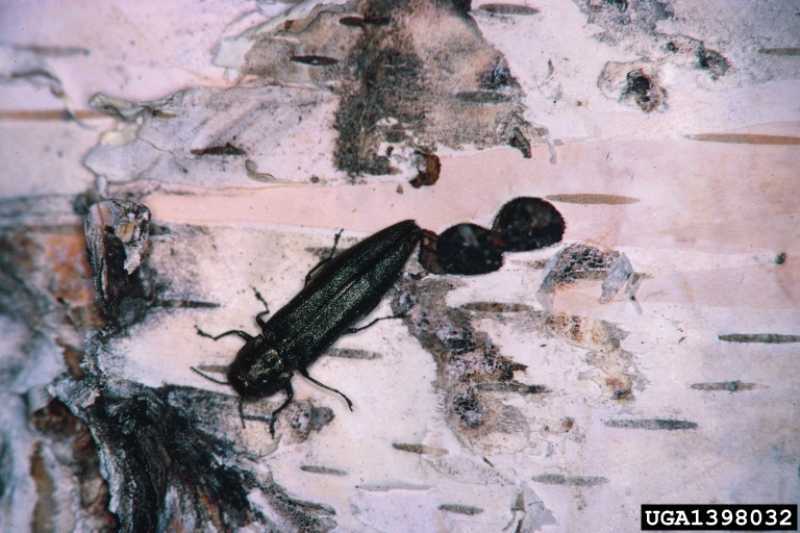 Borers and miners are the larvae of various insects, particularly beetles, flies and moths. 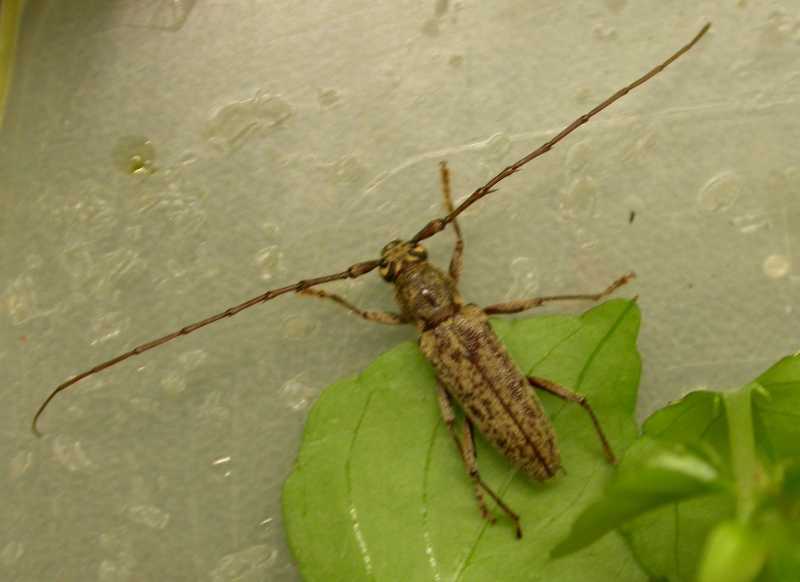 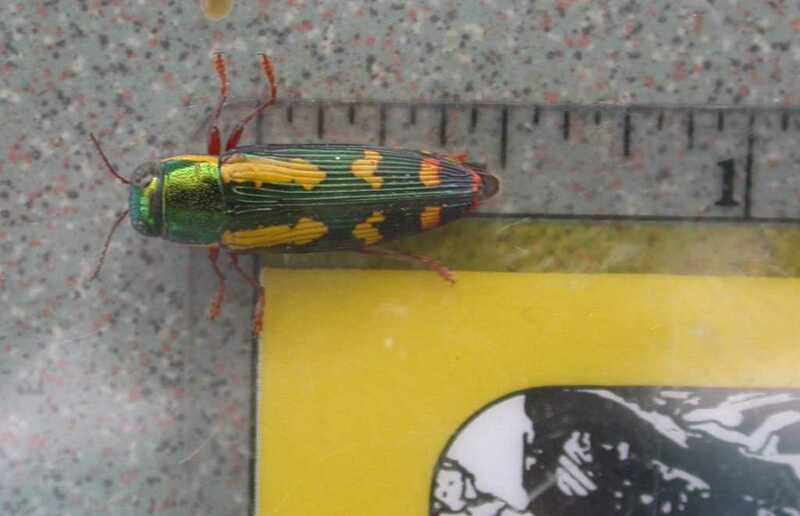 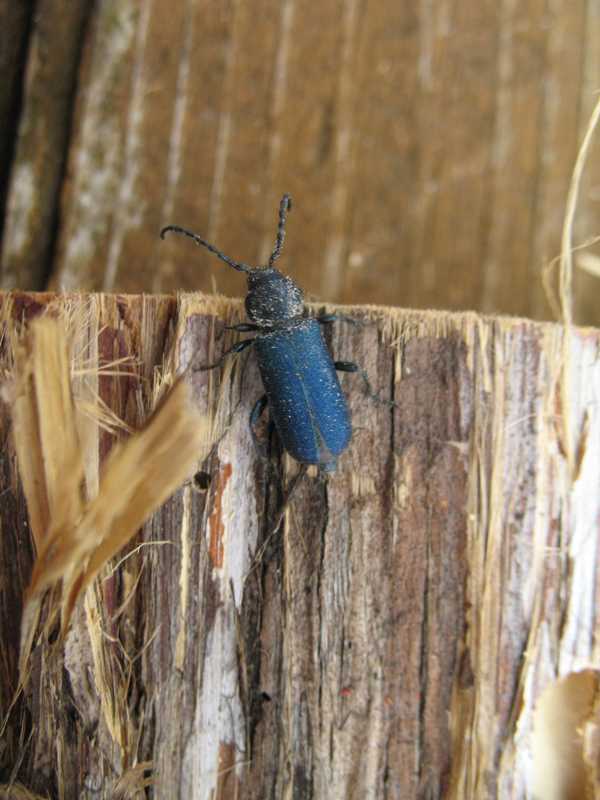 Beetles comprise the largest order of borers. 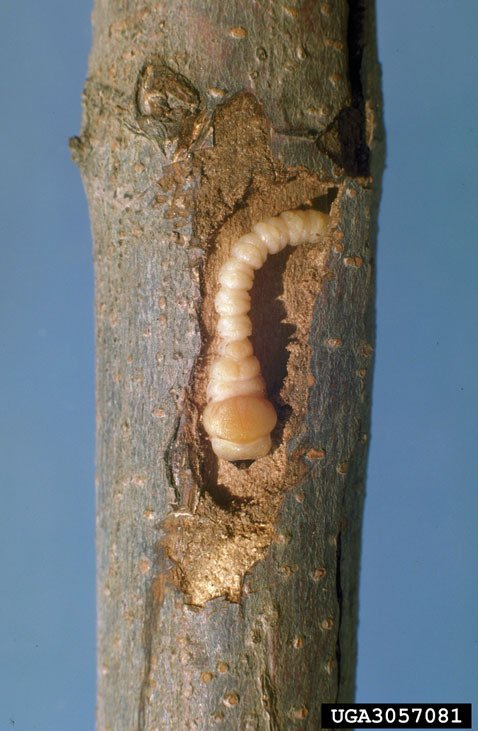 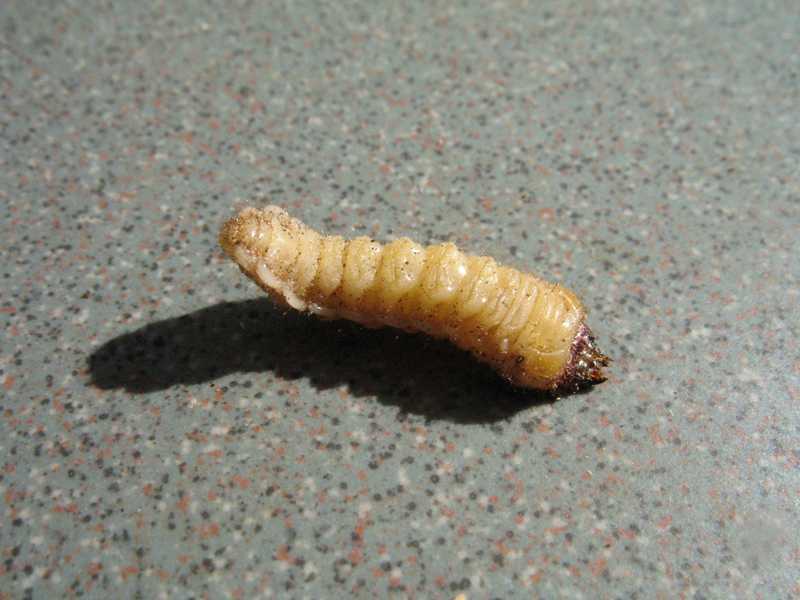 These larvae construct tunnels in terminal shoots, branches, trunks and roots of woody plants of all sizes. 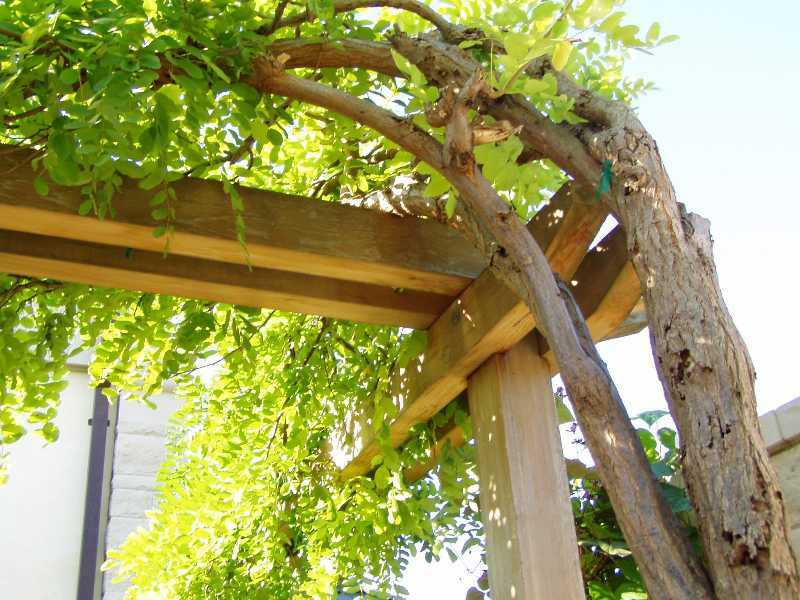 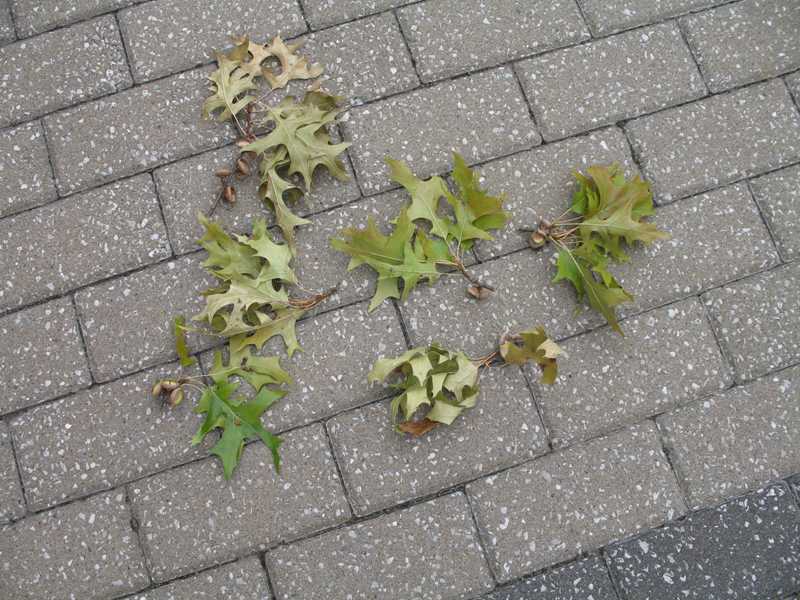 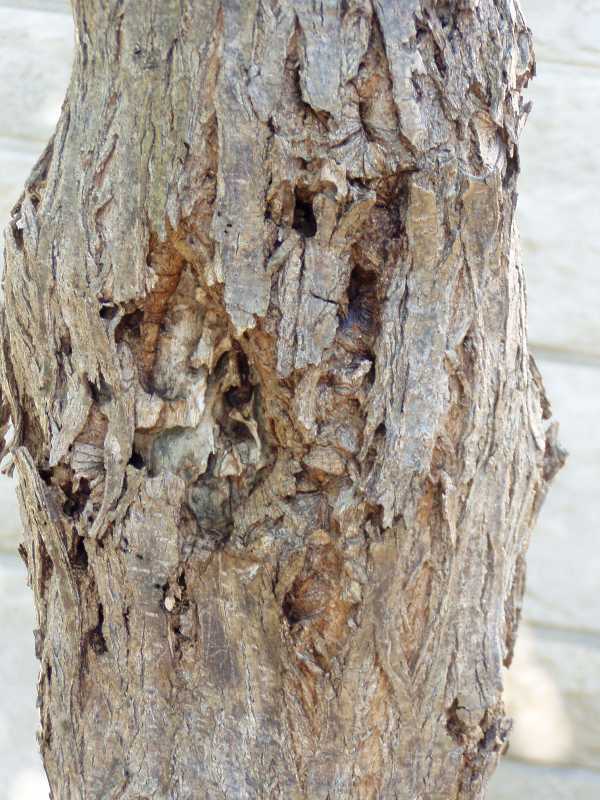 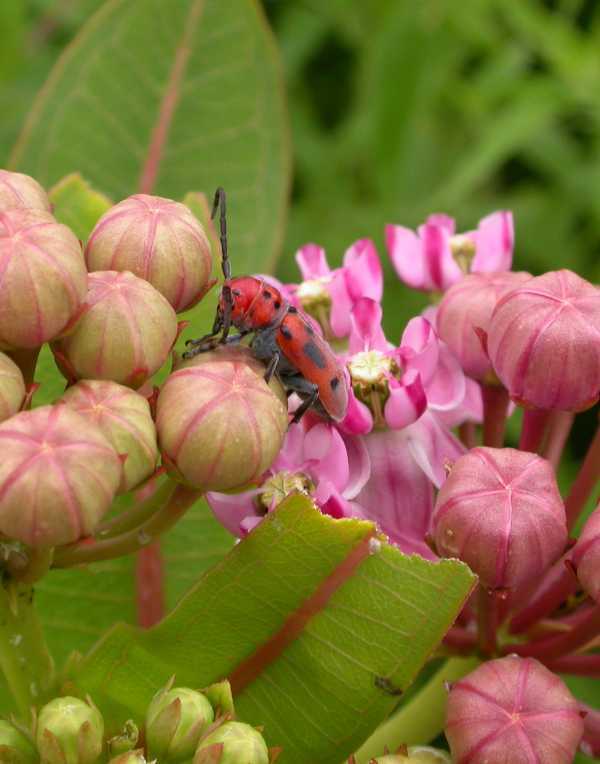 Borers can esthetically and/or fatally damage shade, ornamental and fruit trees and shrubs. 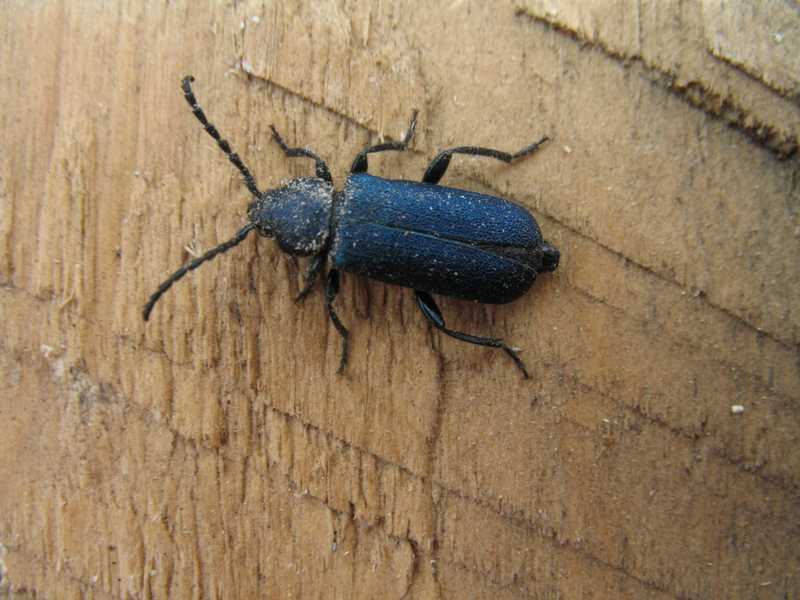 They are commonly concealed beneath the bark or in the wood, making them difficult to detect and control. 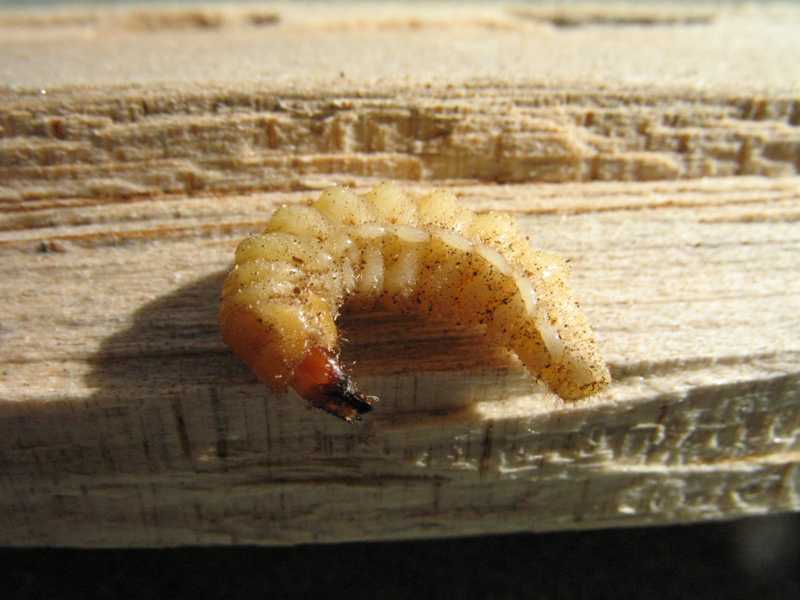 Many of the miners that cause damage to annuals, perennials and vegetables as well as woody plants are the larvae of flies. 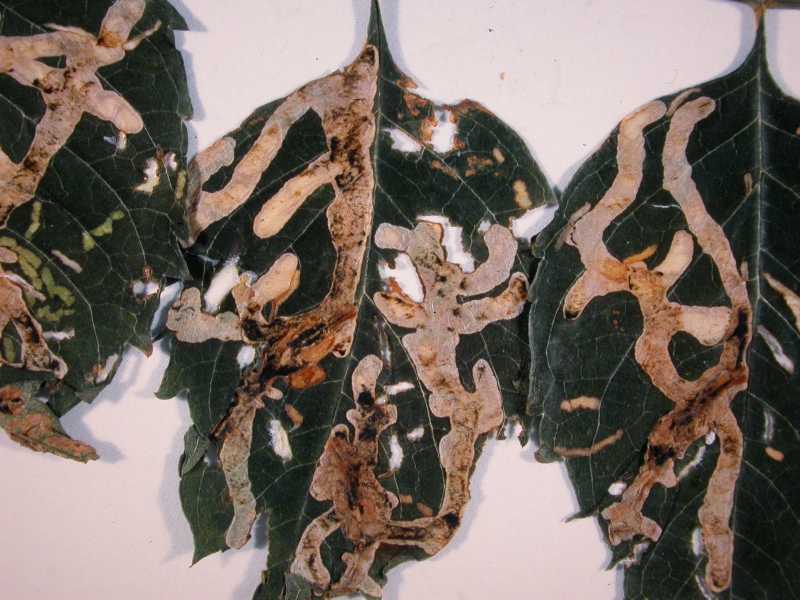 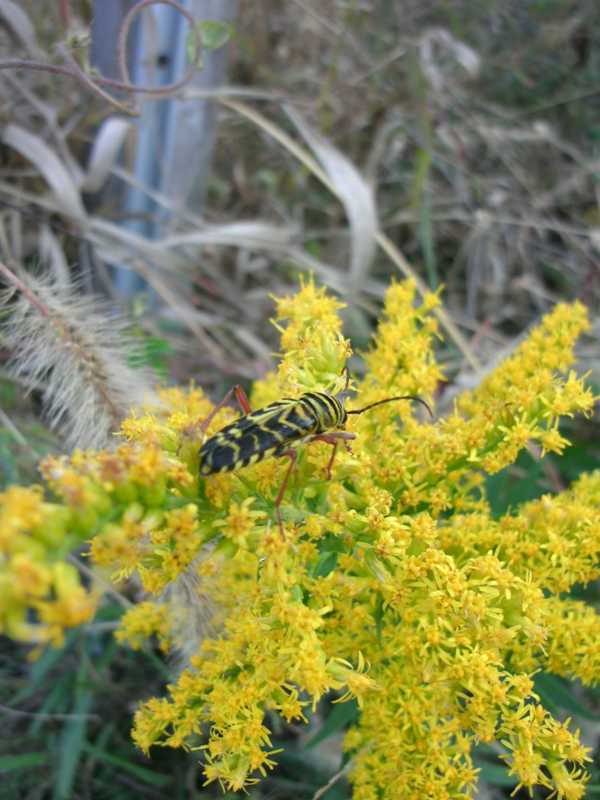 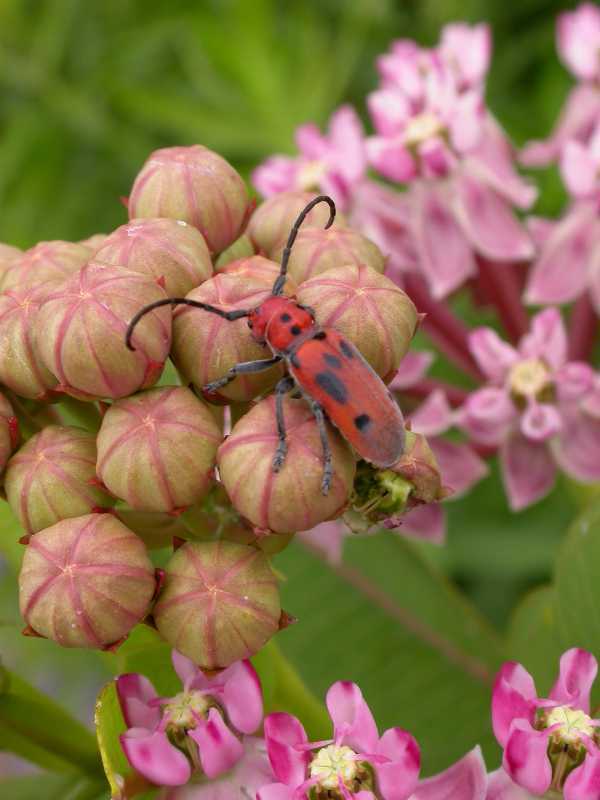 For solutions to problems caused by these pests, see Sawflies - Borers and Miners and Flies - Leaf and Stem miners. 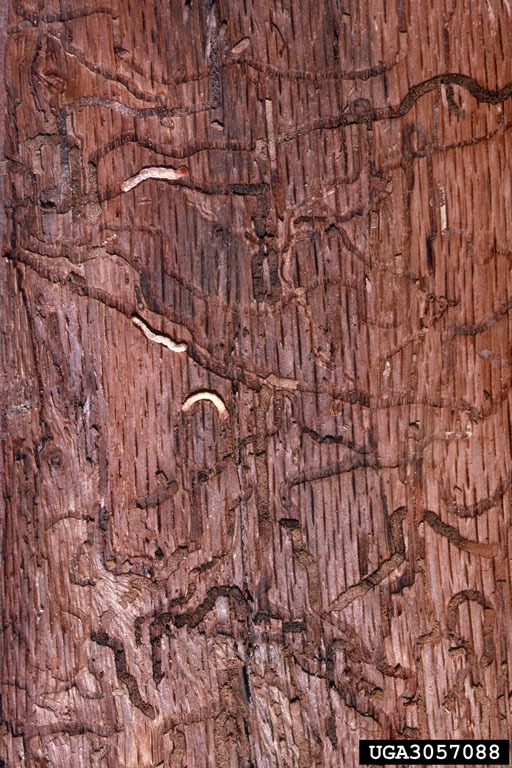 Damage caused by borers often begins in the upper branches of tree crowns and progresses downwards as the tree weakens. 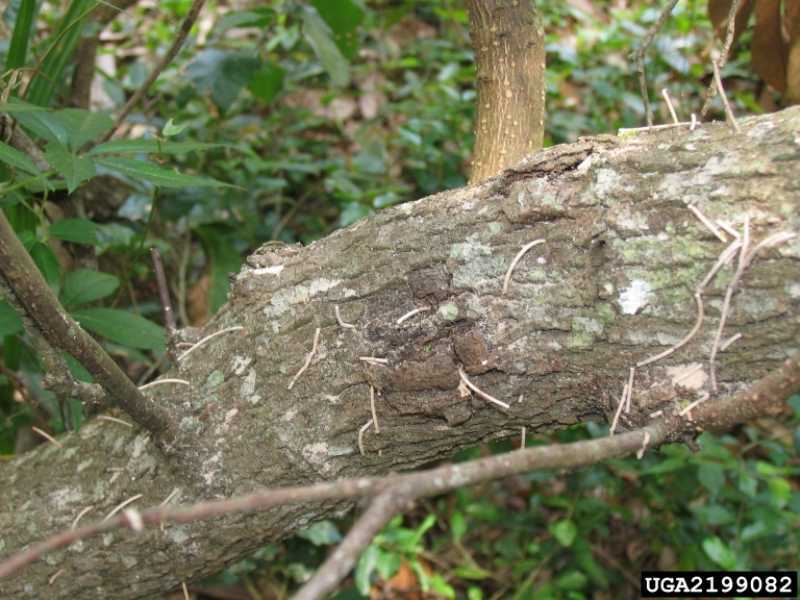 Common symptoms include sudden wilting and discoloration of foliage in the tree tops and branch die-back. 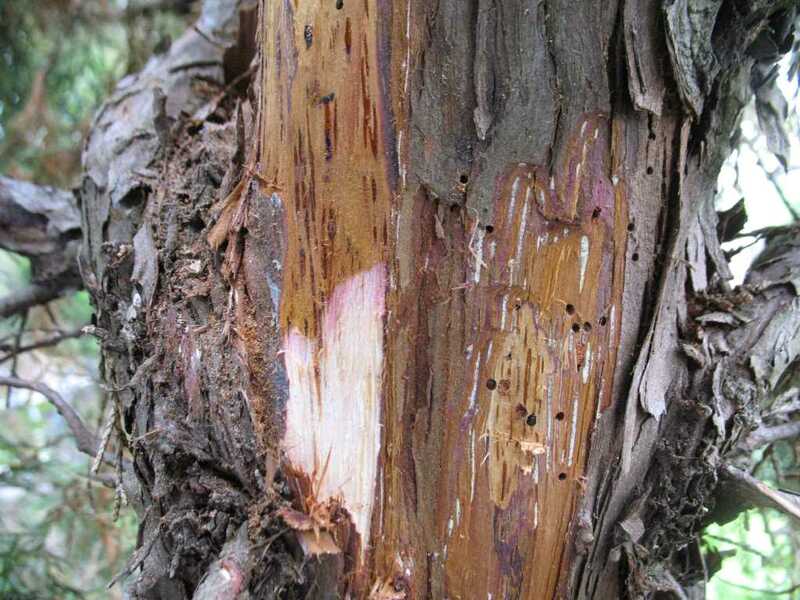 Infested trees will probably also exhibit D-shaped emergence holes and sinuous or zig-zag patterns in their bark. 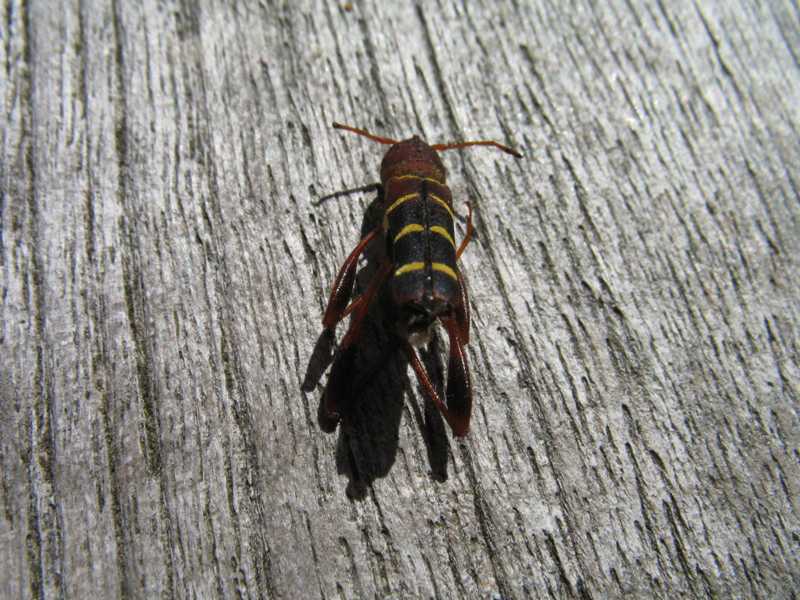 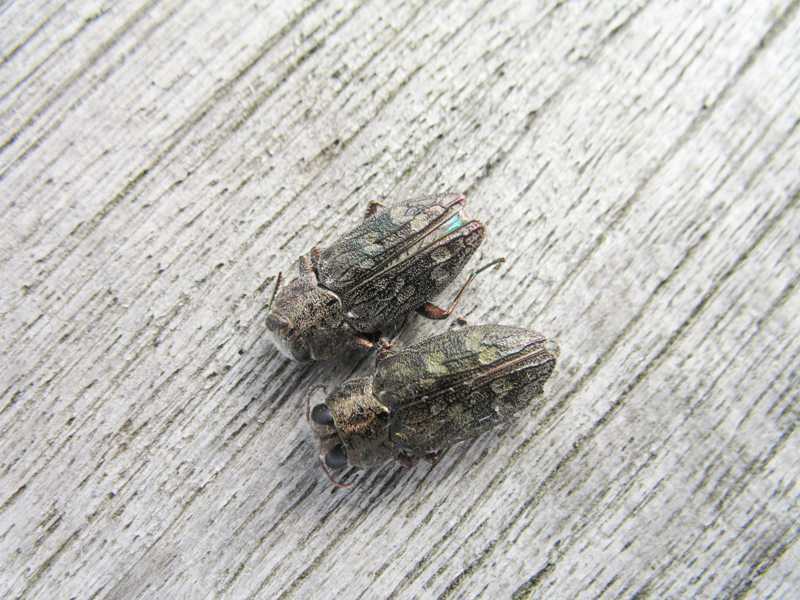 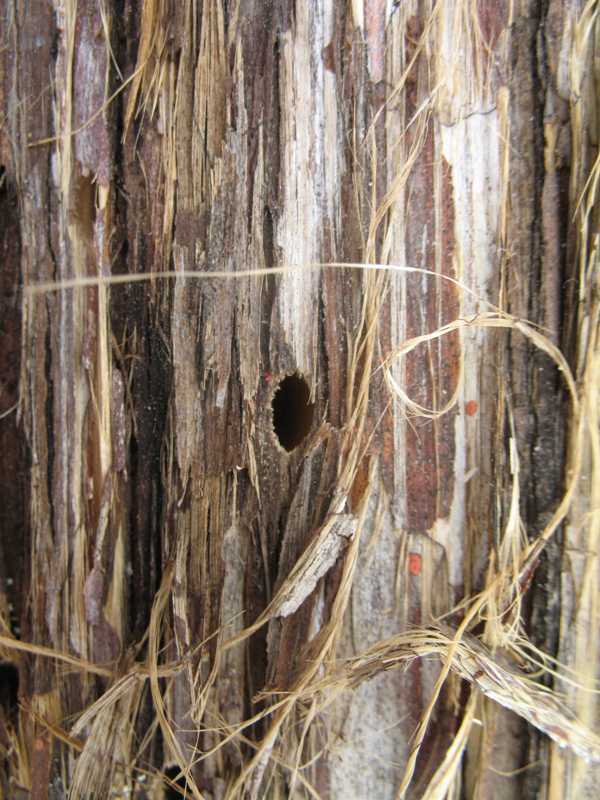 Since borers usually prefer to attack weakened trees, good cultural practices that promote high tree vigor and reduce the incidence of disease help to minimize infestations and the resulting damage. 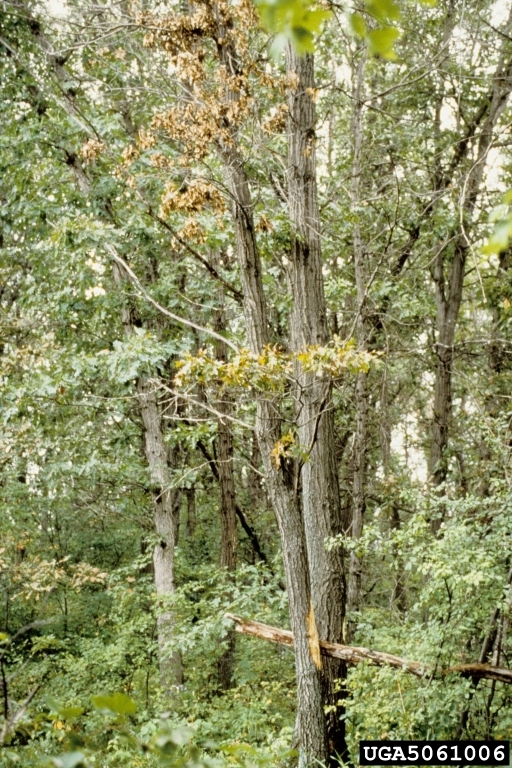 Such practices include preventing injury to young trees, watering during dry periods, and appropriate pruning techniques (avoid topping your trees). 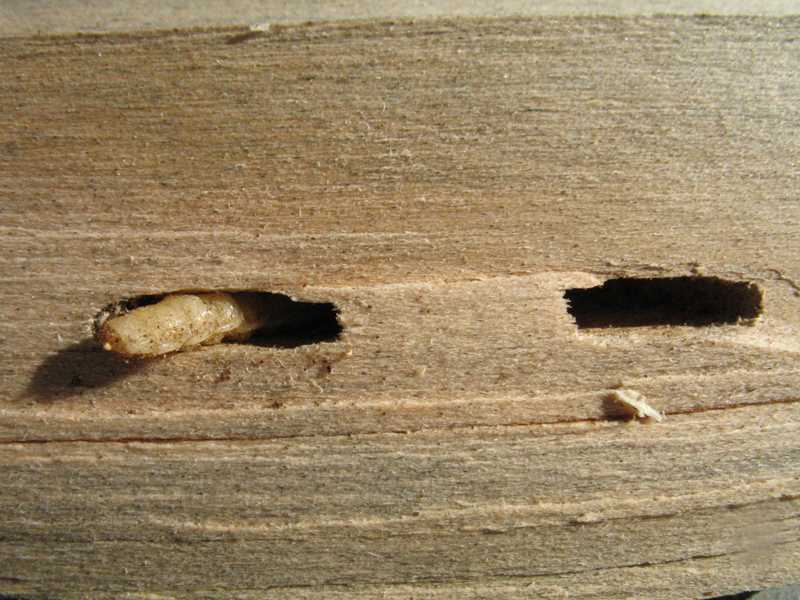 Woodpeckers are known to consume borers in large quantities. 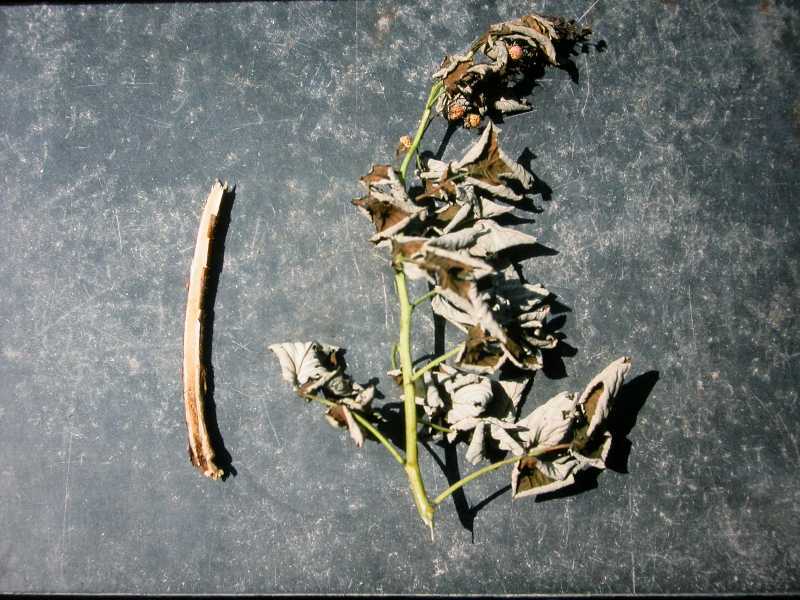 Attract this natural pest control to your yard by providing suet during cooler months (suet can go rancid in warmer weather and furthermore will mat the birds' feathers). 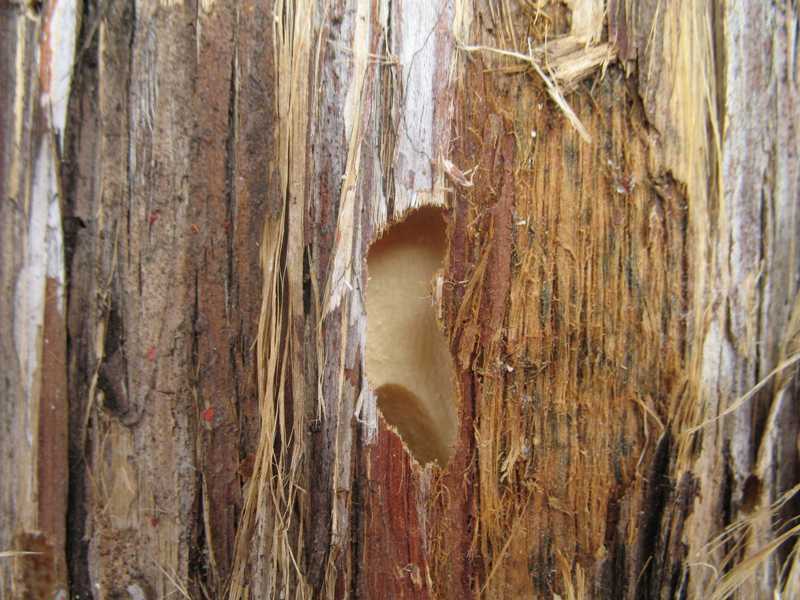 If borer damage occurs, cut and destroy infested wood by chipping or burning. 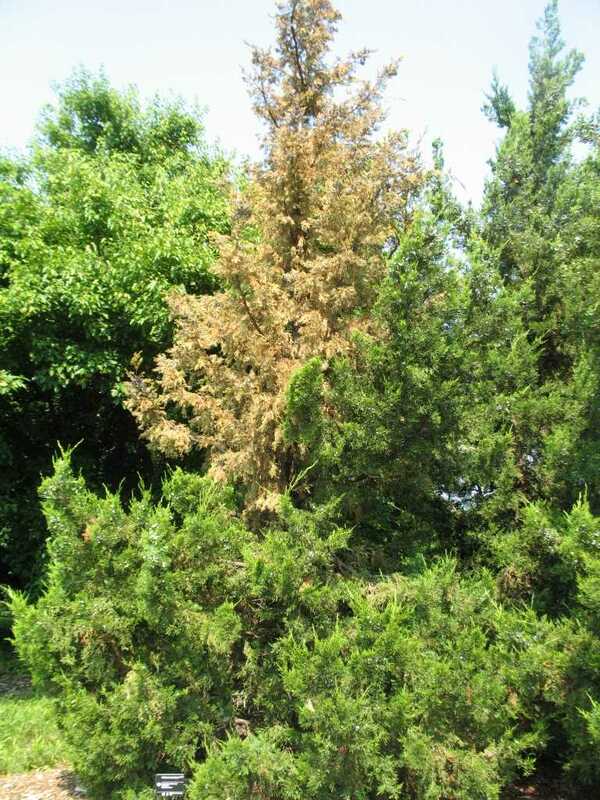 Since infested trees may die during the first season of attack, you may need to consider use of chemicals to protect particularly valuable trees. 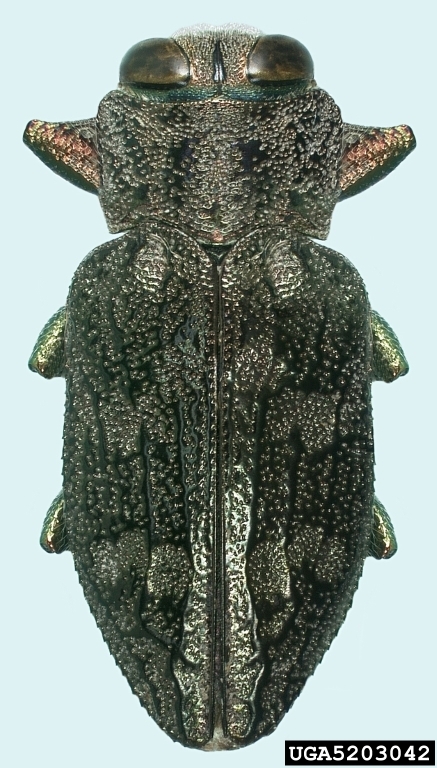 An adult blackhorned juniper borer (Coleoptera), Callidium texanum, on eastern red cedar (Juniperus). 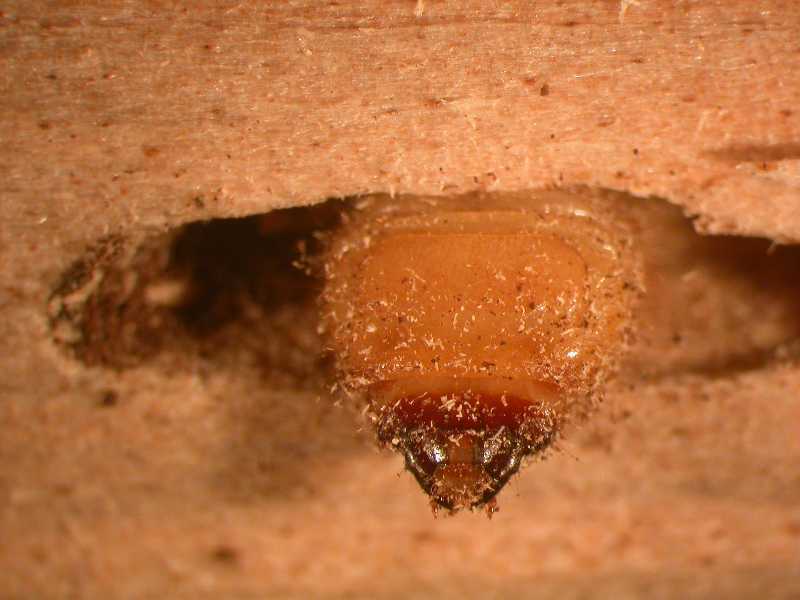 Note: the holes from which the adult beetles emerged. 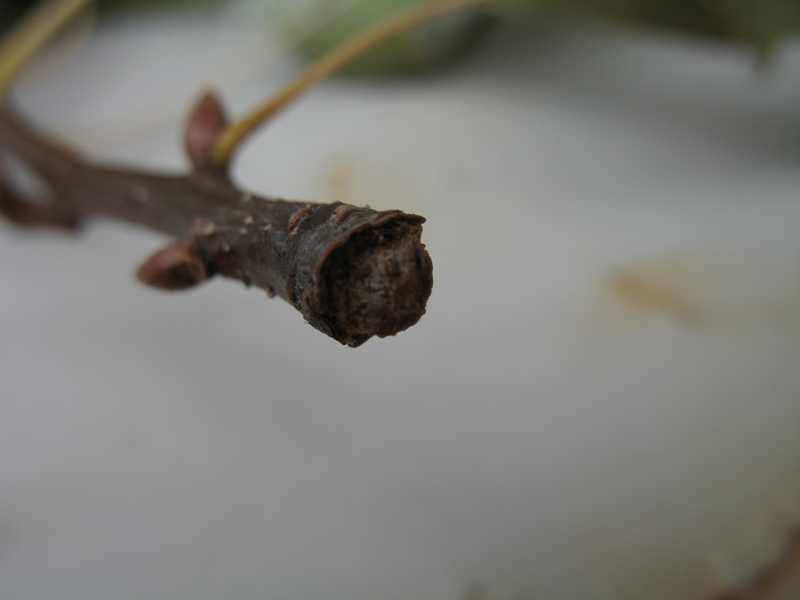 A twig girdler larva (Coleoptera) girdled this pin oak twig (Quercus) then tunneled into the heartwood, plugging the hole behind it. 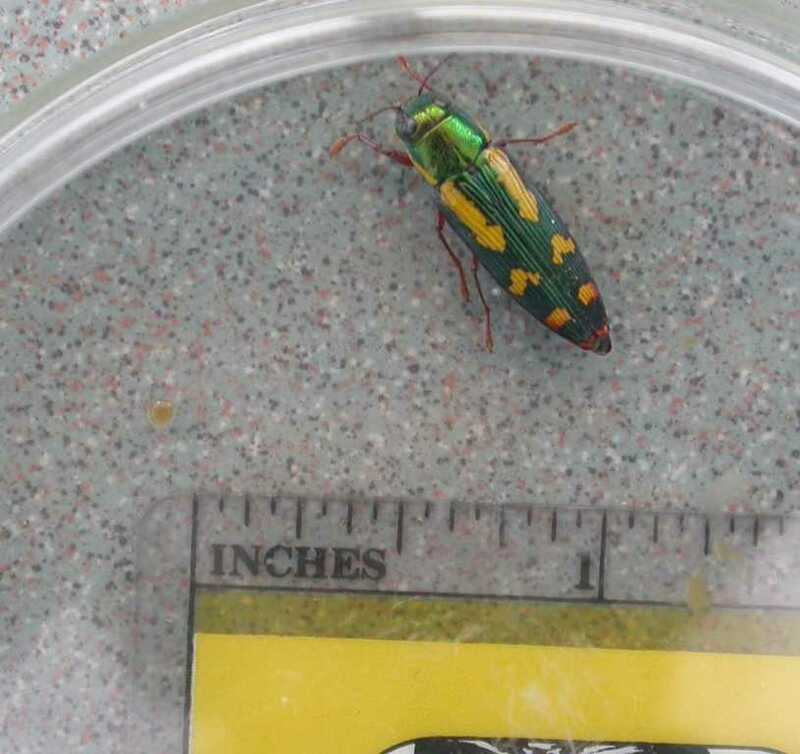 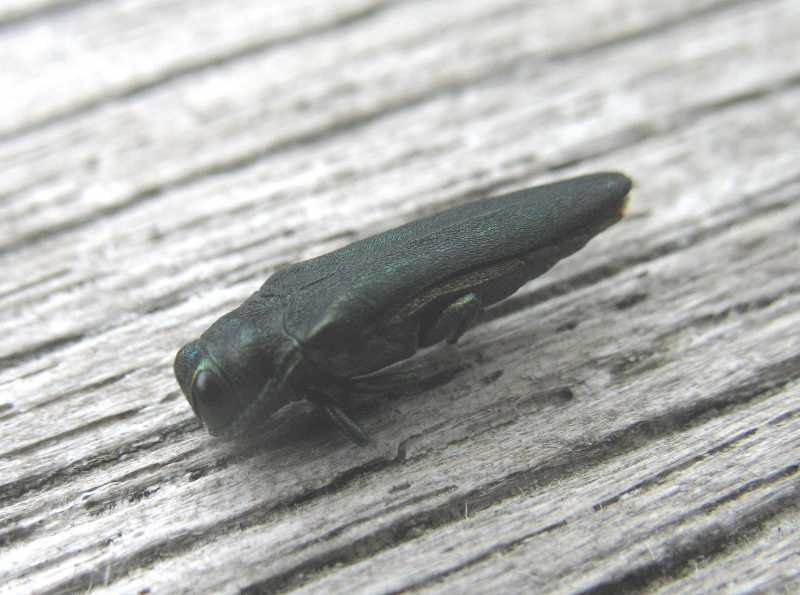 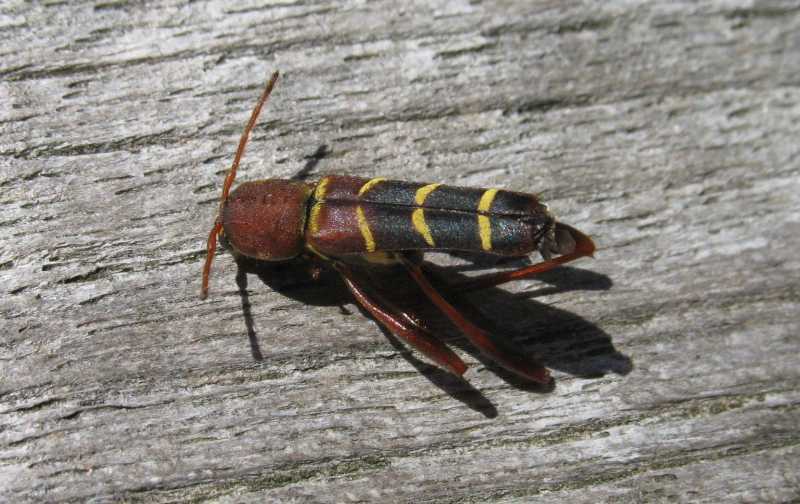 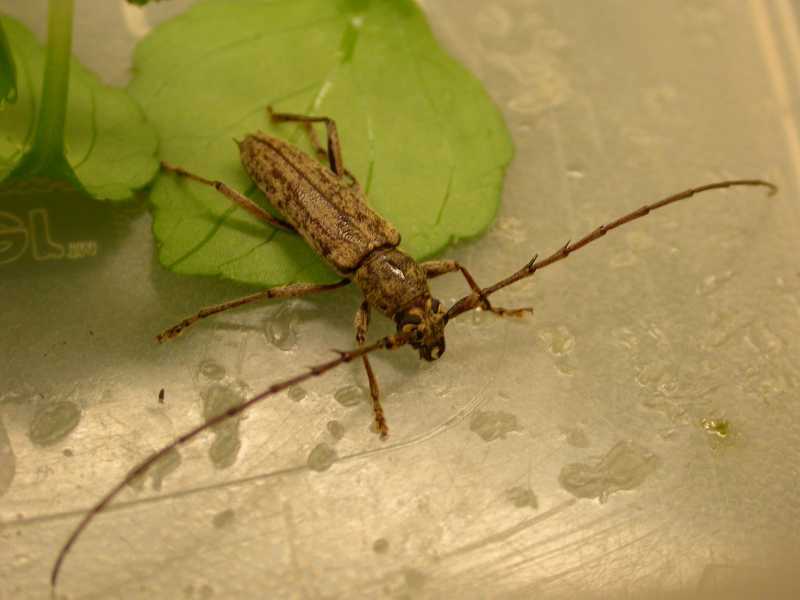 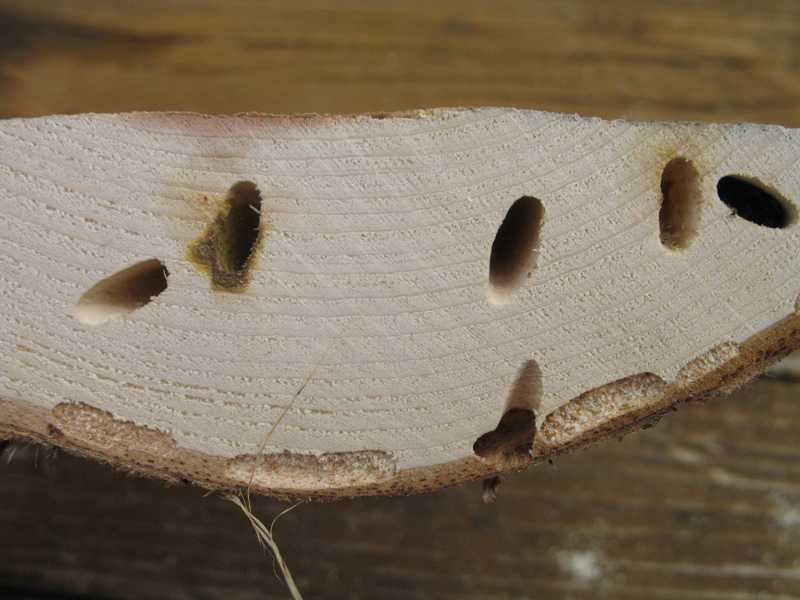 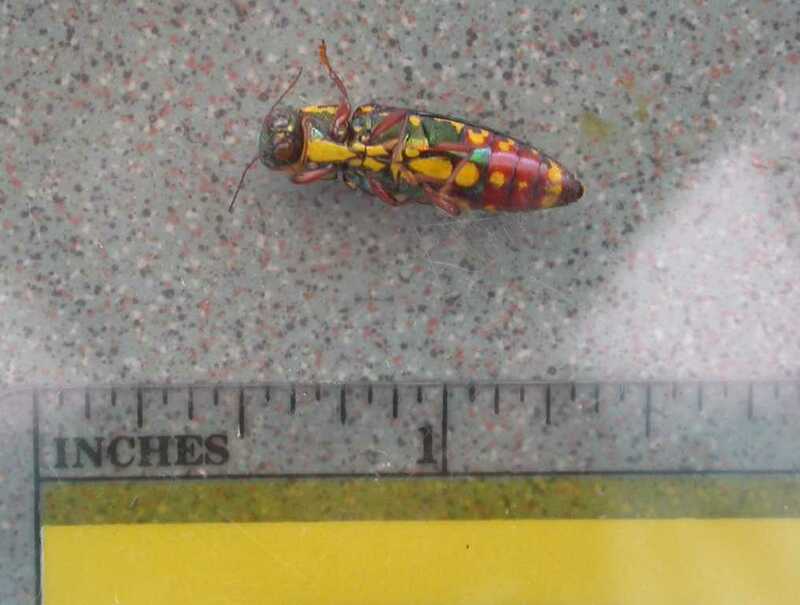 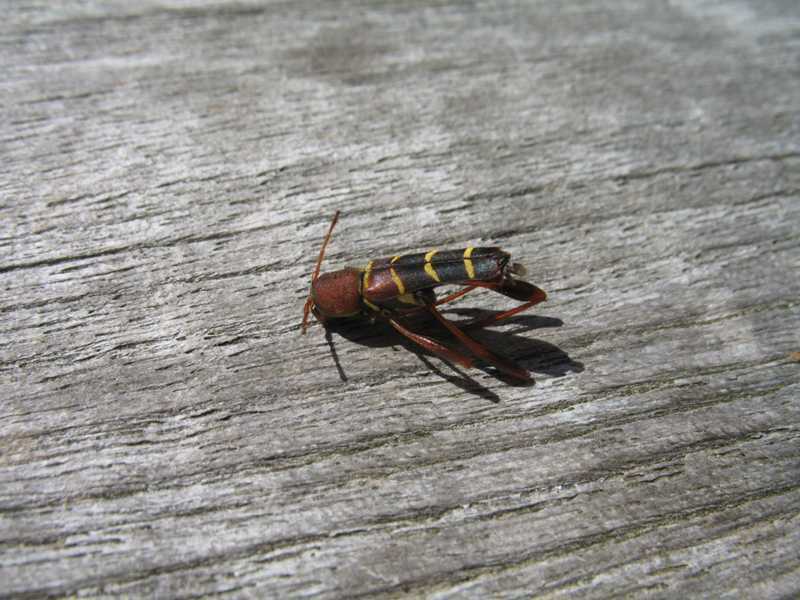 Locust borers (Coleoptera) attack only black locust (Robinia pseudoacacia) and its cultivars. 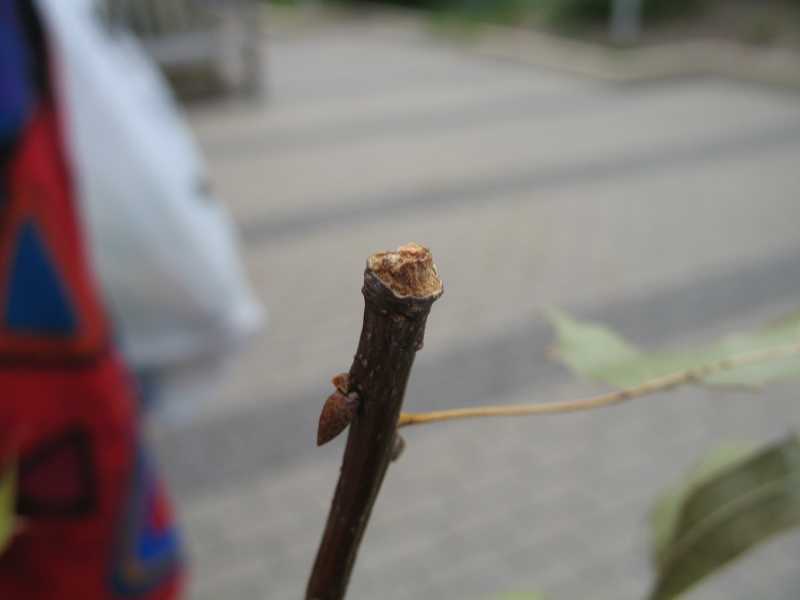 Honey locusts are not attacked.